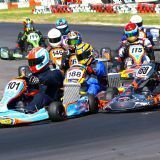 The 2019 Western Cape Karting Championships kick off at Killarney, Saturday 16 February, with the first round also christening an all-new track surface. 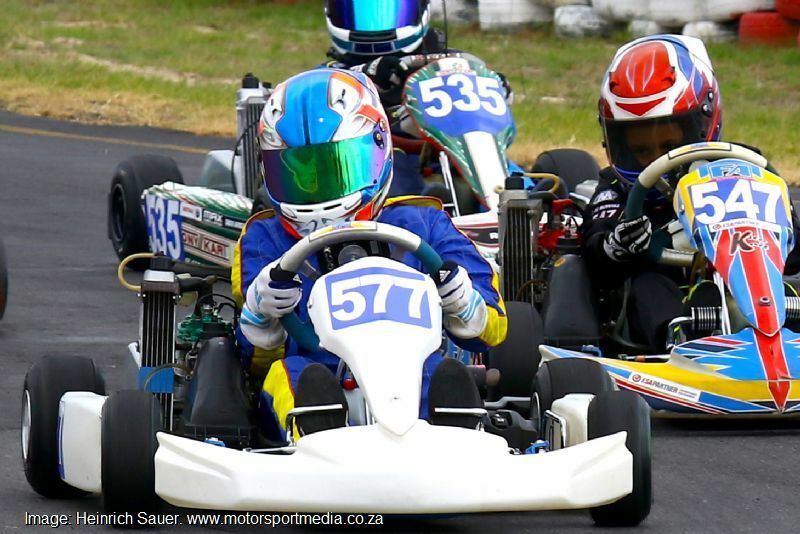 That has transpired to the Cape’s karters not having as much time to prepare as many may have wanted, so there could be some surprises as the Cape section of the Rotax Max Challenge gets under way. 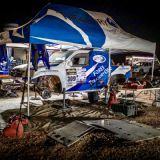 Topping the bill is an impressive entry in the quickest DD2 gearbox class for drivers over 15 years old aboard powerful 125cc machines with kart and driver weighing in at a minimum 174kg. 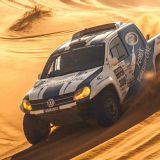 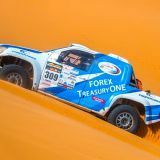 There, WP Senior Max champion Jason Coetzee (CRG) is poised to do battle with old rivals Kosmic-mounted cousins Dino Stermin and Sebastian Boyd, Jonathan Thomas (CRG), Waldo de Wet (Kosmic) and Robert Peche (CRG). 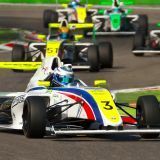 DD2 Masters meanwhile caters for drivers of 32 years old or more driving at a 180kg minimum weight, where the likes of Marco Viegas (Tony Kart) and Conor Hughes (CRG) will do battle. 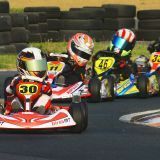 The rest of the Rotax Max classes race with modular state of the art water-cooled 125cc engines in different states of tune, depending on the class, headed up by 160kg Senior Max for kids over 14 year old. 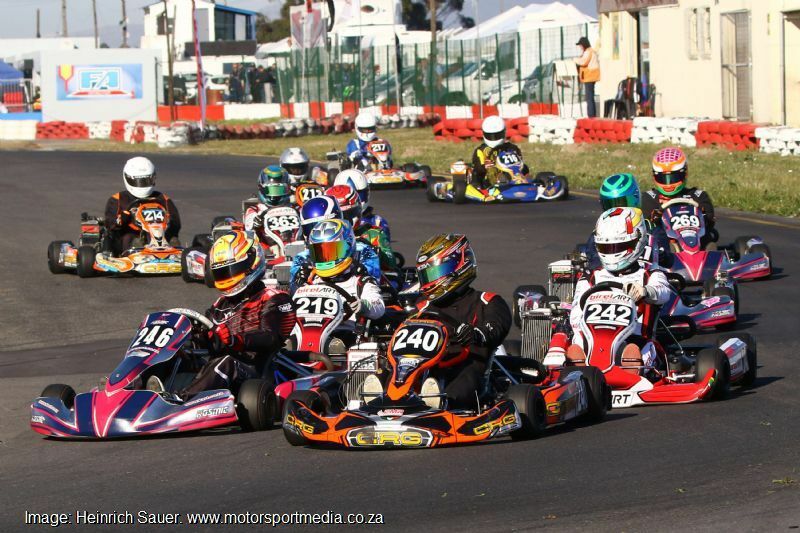 This class sees several drivers graduate from Junior Max this year, including Cape Town’s SA champion Charl Visser (FA Kart) and Kosmic duo Kai van Zijl and Simon Simpson-Heath to take on Kosmic brother and sister duo Storm and Jade Lanfear and CRG trio Reece Oellerman, Andrew Thomas and Michael Jordan. 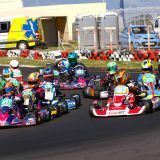 2018 sees the arrival of a new 175kg Rotax Max 175 class for drivers older than 32 years old or younger drivers who weigh more than 85kgs in their jocks. 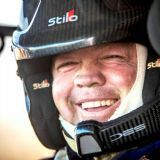 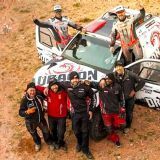 Max 175 will race alongside Senior Max, with Johan Hamman (Kosmic), Mario Ras (CRG) and Jared Jordan (Zanardi) among those set to take a bow on Saturday. 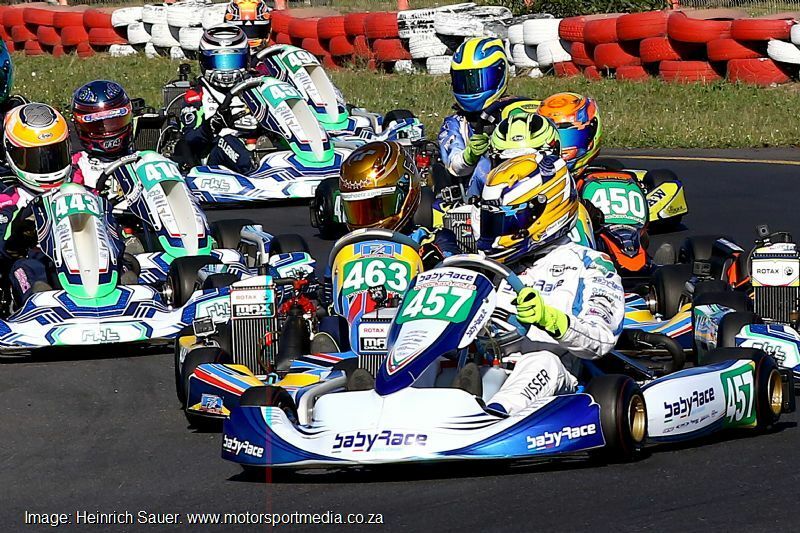 Four intense schoolboy classes make up the balance of the Rotax Max Challenge classes, headed up by the 145kg under-16 high school Junior Max, where SA and WP Mini Max champion Kyle Visser (FA Kart) steps up to take on Kosmic trio Troy Dolinschek, Storm Lanfear and Tate Bishop, among others. 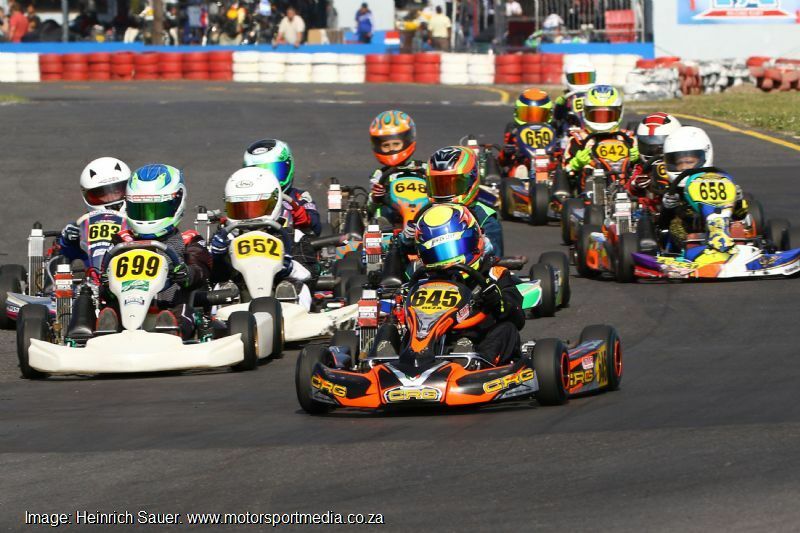 Next up are the two primary school classes; 125kg under-13 Mini Max, where CRG trio Mikhail Fernandez, Paul Malcolm and Ethan Stier will do battle with Jason MacBeath (Kosmic), karting lass Mischa Williams (Zanardi) and Troy Snyman. 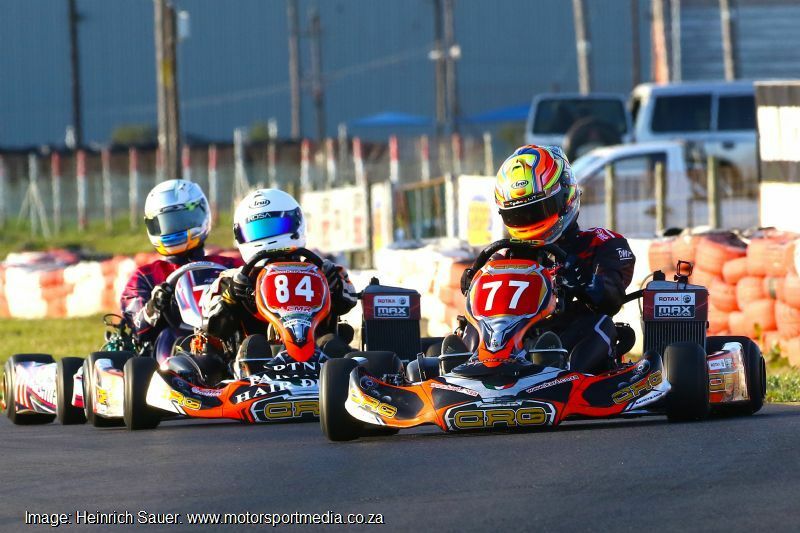 110kg under-12 Micro Max will see Reza Levy back to defend his 2018 championship aboard his CRG against Kosmic-mounted old rivals Reese Koorzen, Joshua Smit and Ethan Deacon (CRG), while Bambino graduate Luan Mostert will certainly add interest aboard a Kosmic. 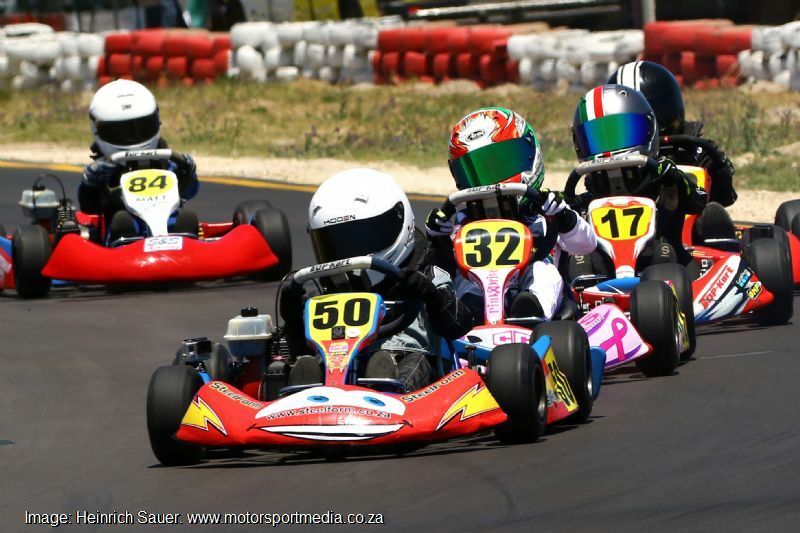 The Bambinos are SA karting’s babies, the under-10 class racing tightly controlled Topkart chassis and re-imagined 50cc engines is the nursery of local motorsport. 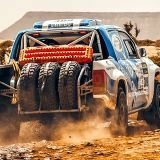 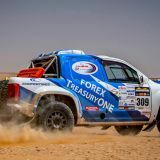 Frontrunner Luan Mostert will do double duty alongside Micro Max this year and against newcomers, brother and sister, Jordan and Rebecca Wadeley and PE visitor Rhoderick Simpson. 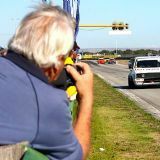 The Cape Clubmans will be out as always, with Sean le Riche and brothers, Michael and Jared Jordan among those on the grid and the day will be rounded off by races for old-school air-cooled 60cc under13 Mini Rok, where Lucas Royston will take on Joaquin de Olilveira, Jason MacBeath and Joshua Smit.